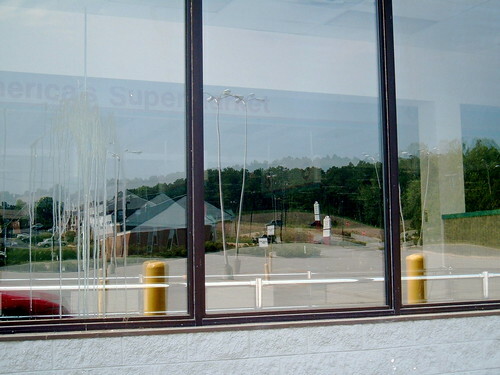 April | 2006 | That Mall is sick and that Store is dead! This one is kinda hard to see, so here is the super duper large version as well. I took this pic during the fall of 2002 I believe. I think Krispy Creme was planning on tearing this one down and rebuilding it. Last I saw it was in 2005, and it was still up. I think plans fell through for redoing it. 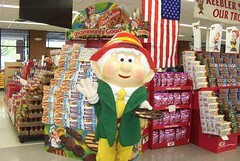 You Would Never Beleive Where The Keebler Cookies Come From—a girl in DECA in high school! The Commissary is alive and well, this is just a picture of the interior. "I Saw A Blimp Once!" A blimp I saw flying around Jefferson Ave area of Newport News, VA. I caught a good pic of it as I was getting out of my car at Target–this Target is alive and well. 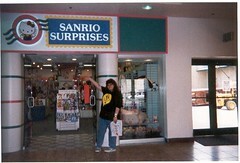 Just a storefront picture for the archives. 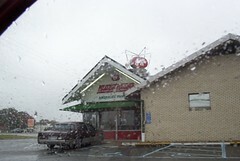 Popes Market in Wakefield, VA. This building as always been shuttered since we moved to Wakefield in 2000. There used to be a Pepsi mural pained on the side of the building, but it was pained over a few weeks ago. When I worked at a courtesy clerk at The Fresh Market, I was carrying out a couple’s grocery cart, and some reason I told them I lived in Wakefield and they started to tell me about the market they owned : Pope’s Market. I told them that the store was pracically in my backyard, and they instantly knew where I lived. This was from the 2nd time I went to Alaska in 1996. This was my 13th birhtday. I don’t know how Diamond Center Mall is doing. This mall is freakin’ huge. It has an ice rink, several floors of office buildings, and it had a Hello Kitty store! 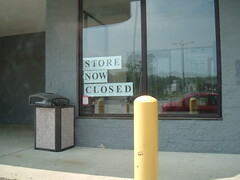 I looked it up on the mall’s website and the store is no longer open.